Who should attend: Anyone who has the authority and desire to improve and sustain the performance of the organization they lead. How an e-learning program works to engage existing and new employees and creates a successful, scalable operating environment. 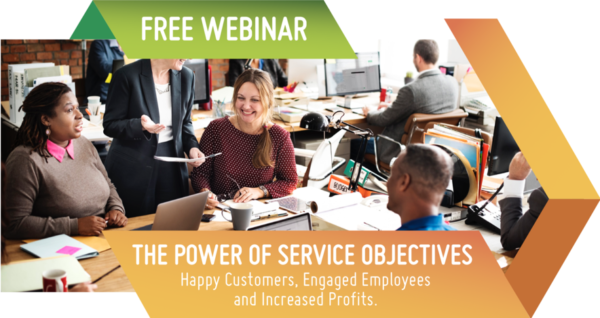 An external service objective is an expectation created by the company or demanded by customers that when consistently met sustains customer satisfaction. An internal service objective is an expectation between organization areas that contributes to the consistent meeting of external service objectives. Why you should participate: Using service objectives will help your company reduce silo thinking, create a scalable internal process that enables continuous improvement, and establish an objective platform for on-going company accountability, performance measurement, and compensation.